Monday is the last day for candidates to withdraw their nominations for contesting assembly polls in Mizoram. Elections in Mizoram will be held on November 25. In Mizoram, over 11,000 Bru voters will exercise their franchise through postal ballots. Some of them are currently staying in relief camps in neighbouring Tripura. Mizoram Chief Minister P.U. Lalthanhawla, who leads the Congress Party in the state, expressed confidence about achieving a victory in the polls. The race for securing the Serchhip constituency in Mizoram would be keenly watched as the four-time chief minister is expected to face tough competition from C. Lalramzauva, an advocate and a nominee of the opposition Mizoram Democratic Alliance (MDA). Hrangturzo, said he is confident about securing a win for the Congress Party in the state again. In all, 32 sitting Congress MLAs have been given tickets for the November 25 elections. The Congress is contesting all 40 assembly seats. The Congress which bagged 32 seats in the 2008 assembly polls re-nominated all its MLAs except former minister Nirupam Chakma. Lathanhawla had contested and won six times from this seat and lost only once in 1998 to a retired engineer K Thangzuala of the Mizo National Front (MNF). This time, MDA, the three-party alliance of the MNF, Mizoram People’s Conference (MPC) and the Maraland Democratic Front (MDF) is trying to repeat the 1998 debacle of the chief minister. In 2008, Lalramzauva, who contested the polls from Serchhip constituency on a Zoram Nationalist Party (ZNP) ticket, lost to Lalthanhawla by a margin of 952 votes. He lost by a margin of 1,399 votes in 2003. Lalthanhawla told media in Aizawl that he is fighting the elections on the development plank. A total of 142 candidates are in the fray for the 40-member Mizoram Assembly election as the last day of withdrawal of nomination papers passed today, Joint Chief Electoral Officer H Lalengmawia said. Both ruling Congress and Opposition front Mizoram Democratic Alliance (MDA) have fielded candidates in all the 40 seats. The Zoram Nationalist Party (ZNP) is contesting in 38 seats while the BJP has fielded nominees in 17 seats. Four women are in the fray with Congress, MDA and BJP fielding one woman candidate each while B Sangkhumi, retired chairperson of the state Public Service Commission, is contesting as an independent. Elections to the state Assembly would be held on November 25. 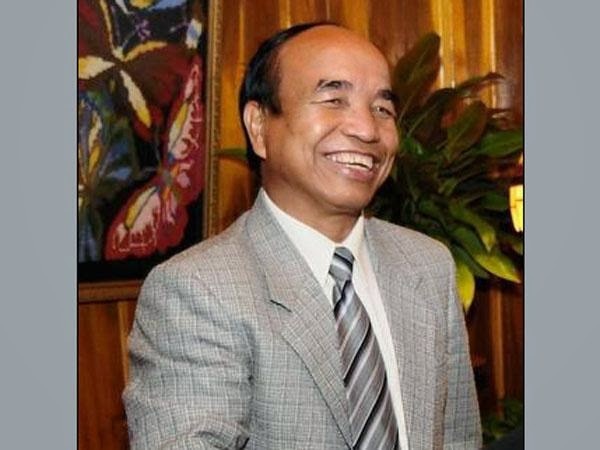 Pu Zoramthanga, the former Chief Minister if Mizoram, was known for never losing elections until 2008. He was the Chief Minister of Mizoram from December 1998 to December 2008. His party Mizo National Front (MNF), won from the Champhai constituency for four consecutive terms until he lost the seat in 2008 Assembly elections to the Indian National Congress (INC). He tendered his resignation to Governor MM Lakhera on 8 December 2000. Zoramthanga served as the fifth chief minister of the state. The veteran leader started his political career in 1966 when he joined the underground movement. In 1969, he became the secretary of the president - Pu Laldenga for the next seven years. When the Mizo National Front came to power in 1987, Zoramthanga was appointed as the in-charge of the Finance and Education Departments. He was subsequently promoted as the party's president after the death of Laldenga. In 1998 Assembly elections, the party won the polls under the leadership of Zoramthanga, who became the chief minister of the state. Mizoram is all set to conduct the elections as the Election Commission said that it is fully prepared for the upcoming polls to the 40-member Mizoram Assembly scheduled for 25 November. The security has also been beefed up along the international border in the state so that any untoward incident can be avoided. Chief Election Commissioner VS Sampath also said that the 100 per cent updated photo electoral rolls and 100 per cent Electors Photo Identity Card (EPIC) by the state election department was highly commendable. Sampath further said 94 out of the 1,126 polling stations are critical and special measures have been taken to keep a watch on them. “Security has been beefed up in these critical areas and along the border areas with Myanmar, Bangladesh and neighbouring states of Assam, Manipur and Tripura,” he said. Response teams and flying squads would also be deployed with executive magistrates in these areas. It was decided that damaged roads due to heavy rains in many places, especially in the southern districts, should be repaired on war-footing, the CEC said. Alternate communication network for interior villages where mobile network is absent would be arranged, he said, adding concerned officials have been instructed to take strict action to curb flow of illicit liquor to prevent electoral malpractices. Sampath also urged the voters to come out in large numbers on the day of polling.